Launched in 2003, the innovative RX-8 saw Mazda’s latest development of the Wankel-style rotary engine. Its 1.3-litre powerplant was available in two states of tune, offering either 192 or 231bhp; no RX-8 was exactly a slouch, but that most powerful version was a seriously rapid machine. There was more to the RX-8’s quirkiness than rotary power, however, for this was a rakish looking four-door coupe with rear-hinged back doors for easier entry and exit. 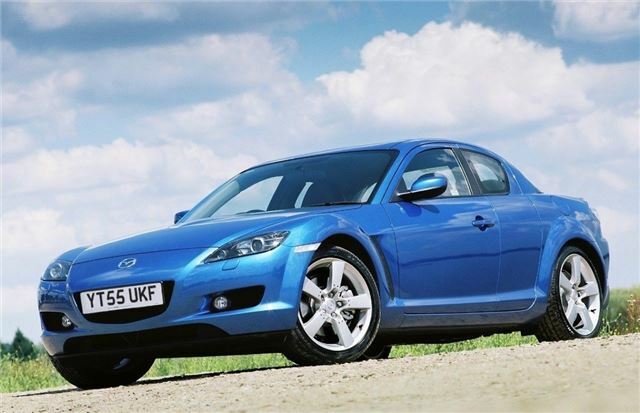 UK sales ceased in 2010, and these days an early RX-8 can be yours from as little as £1000.